We manufacture high quality HT panels for our clients with an extensive range. These compact outdoor type systems are widely used in various industries. The panels are provided with circuit breakers or switch fuse that protects the equipment from any sudden voltage fluctuations. HT Panels fabricated using high quality material these ensure their long functional life, durability, and effective performance. We manufacture the panels with ingress protection for the range IP42-IP67 as per the client requirement. We also manufacture the Flameproof Panels and Non Flameproof Panels. These panels are manufactured in carbon steel construction. We do finishing of Carbon Steel panels in seven tank process powders coating. 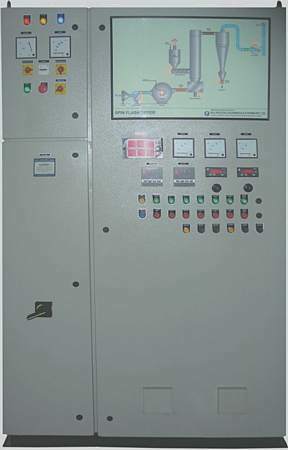 As per Customer Requirement we provide MIMIC panel including Drives, PLC systems. With Auto Manual Both Operation. Auto operation will do on PLC or SCADA and manual operation on Temp Controller.